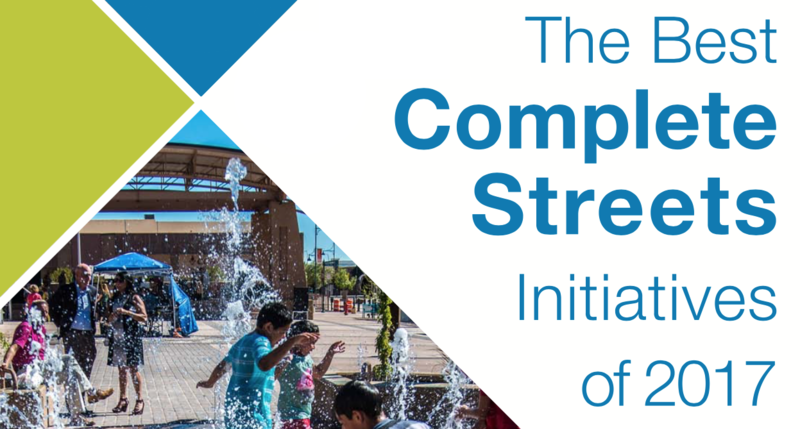 We’ve got big news to share: As you hopefully know already, each year the Coalition releases an analysis and ranking of the best Complete Streets policies in the country based on 10 policy elements that were established more than a decade ago. Beginning in 2018, we will be using a brand new framework to analyze and rank Complete Streets policies. As of the end of 2016, more than 1,000 jurisdictions in the United States have made formal commitments to streets that are safe and convenient for everyone—no matter their age, income, race, ethnicity, physical ability, or how they choose to travel—by passing a Complete Streets policy. Specifically, 13 communities led the nation in creating and adopting comprehensive Complete Streets policies last year. Eddy Street Commons in South Bend, IN. 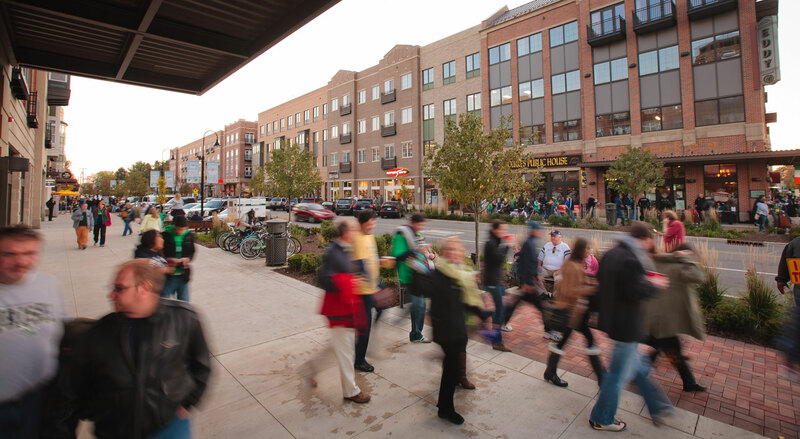 South Bend had one of the highest scoring policies of 2015. Which communities will be on the 2016 list? Photo courtesy of the City of South Bend. Last year, 130 communities passed Complete Streets policies, and all of them are in the running to win the title of best Complete Streets policy of 2016. Could your town or city be this year’s winner?